When Prime Minister Theresa May called the snap general election, expectations then were for the Conservatives to greatly increase their parliamentary majority which in turn would strengthen the government’s negotiating position with the European Union. No sooner had Prime Minister Theresa May signed Article 50, which formally triggered the UK’s exit process from the EU than she called a snap general election for 8 June. Sterling’s response to the news was positive as markets focussed on the likelihood of a large Conservative majority after the poll. Recent opinion polls are certainly indicating a large majority – in excess of 100 – as May’s personal rating remains high, which contrasts with the weak showing of the opposition. Whether this expected larger Conservative majority indicates a shift of policy towards a ‘softer’ Brexit, which has been suggested, will only emerge during future negotiations. From an economic point of view, the timing of the election could be good news for the Government. The year has started on a noticeably weaker footing with the first estimate of growth for the January to March quarter coming in at a disappointing 0.3% (compared to 0.7% for the previous quarter). Q1 was particularly badly hit by a marked slowing in retail sales as inflationary pressures in the economy built up. Despite the weak start to the year, more recent survey data from the UK indicates a slightly better second quarter and more in line with previous quarters. A relatively upbeat showing from the eurozone in the new year, by contrast, has given the bloc some positive news, particularly helpful in its future negotiations with Britain. 2016 was a year of significant change characterised by the rise of anti-establishment protests and though the final three months of the year signalled a recovery in growth across many economies, the yearly outcome for global growth, at 3.1%, disappointed and was the lowest outcome since the recession hit 2009. However, with relatively buoyant financial markets and the long awaited cyclical recovery in both trade and manufacturing seemingly now underway, momentum should push this year’s global growth to 3.5%. That rate of growth remains relatively pedestrian compared to growth rates prior to the financial crash. Much of the higher growth this year emanates from the developing economies where the outlook for commodity exporters has improved. Since the US election, the belief that fiscal policy would be loosened has contributed to a strengthening dollar and to higher Treasury interest rates. Importantly, market sentiment has been strong. Inflation, too, has been higher than anticipated across the globe as a result of higher commodity prices, but core inflation remains subdued. The fragility of the US economy was once again laid bare when first quarter growth came in at a very disappointing 0.7% annualised, less than half that anticipated. Commentators believe this slowdown will be only temporary. We believe that risks to our forecasts remain skewed to the downside, particularly over the medium term. Conversely, the buoyant financial markets sentiment suggests that there is more upside potential than previously. Further out, downside risk has increased somewhat. The financial policy support, in the US and China specifically, but in Europe as well, will need to be unwound or reversed at some point. Additionally, risks come from an increased chance of protectionism, leading to lower cross-border trade, the possibility of a more rapid rise in US interest rates and financial tightening in emerging economies. In line with our overall belief that there will be a stronger rebound in the advanced economies, we have increased slightly our economic forecast for the Eurozone for 2017. Much of this improvement for Europe is based on a cyclical recovery in global manufacturing and trade that began in the second half of 2016. Despite this notable and welcome improvement, our forecast has only been increased by 10 basis points, to 1.7% this year, highlighting once again the challenges facing the single currency bloc. This optimism about the strength of the Eurozone economy was matched by comments from the head of the European Central Bank, Mario Gradhi, who said that the zone’s economic recovery was becoming “increasingly solid”. It will be noted, however, that despite this greater optimism, economic growth forecasts for the next few years remain distinctly modest by historic comparison. Of greater concern to policymakers is the increase in inflation in recent months. Inflation in the Eurozone hit 1.9% in April, in line with the ECB’s target of ‘below, but close to’ 2%. Inflation at present levels is not sufficient to force up interest rates, but policymakers will be scrutinising future rates of inflation, and rates of economic growth for guidance. Already, the ECB has cut its bond repurchasing scheme and a further reduction could be sanctioned if the Eurozone’s economic recovery continues. Economic sentiment across the Eurozone rose to a ten-year high during the quarter, while the overall unemployment rate has continued to fall and now stands at its lowest level since May 2007. But in a reminder that economic recovery cannot be taken for granted, the news that France’s economy grew by an underwhelming 0.3% in Q1, down from the previous quarter’s 0.5%, highlights the fragile nature of this recovery. The slowdown was partly down to poor consumer spending owing to unseasonably warm weather in the quarter. After defying widespread predictions that the UK economy would suffer a marked slowdown post the historic Brexit referendum, signs are finally emerging that the previously buoyant activity is beginning to falter. The first estimate of growth in the January to March quarter came in at 0.3%, weaker than expected and significantly below the 0.7% recorded in the previous quarter. While the winter quarter is always liable to disappoint because of adverse weather, statisticians placed the current weakness firmly in the slowdown in consumer spending as higher inflation put the brakes on retail sales. Inflation globally has been ticking up for the best part of a year as improved corporate optimism has fuelled a boom in commodities which in turn has pushed up commodity prices. Add to that the sharp depreciation in sterling since the referendum, then it is easy to see how the consumer price inflation in the UK has risen to 2.3%, ahead of the Bank of England’s 2% target and the highest rate for more than three years. Sterling’s decline, however, had given a boost to UK manufacturing where survey data shows the sector to be growing at its fastest pace for three years. New orders in April hit the highest levels since January 2014, helped not only by the lower value of the pound, but by better global economic conditions. This has led to ‘solid growth in new export business’ but also to a steady increase in new domestic orders. The forthcoming general election will certainly add to the degree of uncertainty surrounding the likely growth of the economy in the short term and while opinion polls suggest that the Conservatives will return to power with a greater majority, it is unclear at present how the composition of the parliament will influence the negotiations with Europe. We believe that the slowdown over Q1 will only be temporary and that the economy will recover its poise over the summer months. However, with global economies having entered unchartered territory in recent months – the Brexit vote, Trump’s election as President and the increasingly hostile tensions with North Korea – risks to our forecasts remain highly skewed to the downside. Property investment across the UK remained resilient over Q1 2017 with the reduction of major domestic investors being counterbalanced by the continued interest of overseas players who accounted for slightly more than 50% of all property deals in the UK in the quarter. Offices made up the bulk of transactions in the quarter, while there were several chunky student accommodation deals. Retail deals were few and far between. It is noticeable that, although quarterly transaction volumes have remained steady at around £10bn – £11bn over recent quarters, the number of deals has declined, indicating an increase in the average lot size. This in turn has increasingly resulted in premium prices being paid for ‘trophy’ assets, these buyers often coming from abroad. The highlight of the quarter was the announcement by British Land of the agreed sale of its joint venture with Canada’s Oxford Properties – London’s tallest office property, formally known as the Leadenhall building (but more commonly referred to as the ‘Cheesegrater’) – to Chinese investors for £1.15bn, 26% ahead of its recent valuation. Far eastern investors are still major players in UK commercial property but the recovery of the oil price has also contributed to a welcome return of middle east investors while there has been a notable increase in continental European purchasers. Such investors are seemingly paying little heed to the consequences of a hard Brexit or to risks associated with forthcoming elections in both the UK and in the continent. Expectations in the market for rental and capital growth and total returns remain subdued. The IPF Consensus Forecasts published in November anticipated total returns for 2016 as a whole, of 0.6%. That forecast undershot the actual returns by 3 percentage points and we believe that the forecasts for 2017 are similarly pessimistic. According to the most recent IPF Consensus Forecasts, published in February, total returns for the market this year are expected to come in at only 1.3%. Already, total returns for the first three months have recorded 2.3% (Source: MSCI/IPD Monthly Index). While some weakening of the market is to be expected as details of the Brexit negotiations unfold, property valuations do have yield support, particularly as 10-year gilt yields have moved back below 1%. Sterling depreciation has made British assets cheap. With Europe still treading water, in property terms if not economically, and huge risks surrounding US policy, UK commercial property is likely still to be the market of choice for overseas investors, particularly with its steady and secure income. Turnover has remained relatively buoyant over the first few months of 2017. Quarterly transactions in the West End, at £1.89bn, was the second highest ever recorded in the first quarter (beaten only by the equivalent quarter of 2016) while City transactions were broadly similar to 2016’s total which was the largest traded since Q1 2007. A feature of the central London office market this year has been how large many of the transactions have been. As well as these resilient turnover figures, there has been a sustained interest from overseas investors, particularly from Asia. Asian purchasers made up almost half of the purchasers in the West End and two-thirds of purchasers in the City in Q1. Notably, their interest focussed on large properties; the average lot sizes of properties purchased by Asian investors in the City being £153m. In contrast, UK institutional investment in London offices has been harder to spot. There have been no purchasers yet in the West End while they have accounted for only 13% of City purchasers. However, their focus has mainly been on reducing their central London office portfolios. Take up of space remains resilient. Tenant take up in the West End, at just over 1m sq ft was similar to that recorded in Q1 2016 while take up in the City totalled almost 1.5m sq ft, down 11% on the previous year. Both take up figures, though, were significantly higher than the long term averages. It was noticeable that the City fringe accounted for a higher percentage of take up in the quarter than the City core, a reflection of the relative scarcity of suitable product in the core. Despite these favourable take up figures, the vacancy rate remained at 3.8% in the West End and increased to 5.5% in the City – a rise of 25% from that recorded in the City 12 months previously. Supply now exceeds 4.6m sq ft in the West End and 6.8m sq ft in the City, in both cases, over 1m sq ft higher than at the equivalent period last year. A record rent for the West End of £190 per square foot (psf) was hit in St James Square when the Canadian company SHL took 4,000 sq ft on a ten-year lease. That deal boosted the average prime rent in the West End to £122 psf, 11% ahead of the average over 2016. Even without that deal, average prime rents in the quarter were above that of 2016. By contrast, City rents dipped slightly in Q1, where the average prime rent recorded in Q1 fell to £72 psf from the £77 psf mark of last year. Rent free periods also lengthened – a ten-year lease now coming with 22-months rent free period (the longest since Q3 2013) in the City and 19-months in the West End. Both periods are two months longer than those at the end of 2016. Prime yields were unchanged over the quarter at 4% in the City and 3.25% in the West End. “I’m wondering what a lot of investment agents are doing at the moment,” says Sovereign Centros chief executive and former Strutt & Parker investment agent Chris Geaves, while pondering the question of how many shopping centres might change hands in 2017. “There will need to be a lot more ingenuity in bringing schemes to market – the days of waiting for brochures to land on desks are over,” he adds. The image of collective agent thumb-twiddling may not be that far-fetched. Research from Knight Frank shows UK shopping centre investment volumes barely topped £3bn in 2016 (see chart) and not even the most optimistic agent is forecasting more for the coming year. “There has been a big reduction in private equity players as the perception of future inward yield shift has gone,” says Knight Frank partner Charlie Barke. In other words, don’t expect to see Aldi/Lidl length queues to the checkout for shopping centres, at least in the first half of this year. The least likely buyers are UK institutions (see panel). Barke believes they will be back in the game for malls by the end of the decade, but right now are “low on the shopping list”.Most likely to be heading towards the tills are overseas buyers. “We are increasingly seeing more coming from continental Europe, like German open-ended funds, as well as US players via asset management platforms,” says JLL head of UK retail investment Fraser Bowen. A question mark hangs over local authorities – the surprise buyers of 2016. Suggestions that their activity will decrease this year are premature, says BNP Paribas Real Estate head of shopping centre investment Stuart Cunliffe, who points out that such deals often allow the public sector to drive urban regeneration plans forward. “As long as interest rates remain low and retail is expensive and difficult to develop, local authorities will want to be involved,” he says. In terms of product, buyers will be drawn to prime and super-prime centres. “These come up so rarely, there is no rationale for prices softening,” says James Findlater, head of shopping centre investment at Colliers International. UK fund manager – Niche fund management company Cordatus has recentlybought assets in Whitley Bay,Tyne & Wear, and Bingley, West Yorkshire, for the initial £150m round of the Cordatus Property Trust – and expects to do more of the same. “Our plan is to invest in lot sizes of £3m-£15m and deliberately fly under the radar of the big companies,” says director Gavin Munn. “Those smaller lots sizes tend to give better returns.” The downside of smaller centres can be a plethora of small tenants to manage, though even here there are silver linings. “Annual rents are only around £20,000-£30,000, so if there is a void, someone is likely to be able to fill it easily,” says Munn. One of the big attractions of small district centres is that they are resilient to economic change. Shoppers come for essentials that they are unlikely to buy online, possibly two or three times per week, rather than a large single shop. For this reason Cordatus places neighbourhood centres at the low end of the risk spectrum. “Yield compression is likely to be limited, so we are looking at income, though growth won’t be dramatic,” says Munn. Unlike Capital & Regional, Cordatus is likely to be looking anywhere in the UK apart from the South East for its future district centre purchases. “We are very happy looking where others aren’t,” says Munn. Cordatus Property Trust has Joined GRESB, the Global Real Estate Organisation. GRESB is an investor-driven organization that is transforming the way environmental, social and governance (ESG) performance of real assets are assessed globally, including real estate portfolios and infrastructure assets. So now we know! Eight months after the historic Brexit vote, the Government has at last shown its hand, indicating that Britain ‘cannot possibly’ remain within the European single market as doing so would mean ‘not leaving the EU at all’, according to Prime Minister Theresa May, who has stated that the control of immigration was paramount. The House of Commons duly endorsed the public’s decision by voting heavily in favour of allowing the Prime Minister to sign Article 50 of the Treaty of Lisbon which is the mechanism for starting the formal process of leaving. It now only requires formal approval from the upper house. It is expected that Article 50 will be signed by the end of March. It was also announced that parliament will be given the opportunity to vote on the actual terms that are negotiated. At the time of the referendum, there was a widespread belief that the UK economy would experience a sharp and rapid deterioration should the country elect to leave the EU. So far, that has not materialised. Solid economic growth of 0.6% in the fourth quarter of 2016 – the same rate as was seen in the two previous quarters – pushed the UK’s growth to 2.0% over the year, significantly higher than had been anticipated and, remarkably, higher than that of any other major economy. The UK’s resilience has also prompted marked upgrades to growth expectations for this year and next. The IMF upped its forecast by 50 basis points this year (to 1.6%) although that has been partially offset by lowering 2018 expectation (to 1.4%). An even greater upward forecast revision was signalled by the Bank of England. Criticised heavily for its downbeat assessment of Britain’s short term prospects at the time of the referendum, the Bank has raised its expectations to growth of 2.0% for this year (from 0.8% six months ago) and to 1.6% for next year. All is not good news, however. Following the immediate and sustained deterioration of sterling since the referendum, imported inflation is beginning to feed through, raising the possibility that the Bank’s own inflation rate target of 2.0% being exceeded next year, maybe by some margin. This higher inflation is likely to hit consumers who have only recently seen wage growth outstrip rising prices for the first time since the onset of the global financial crash.There has been talk of some employers (mainly financial firms) moving staff to financial hubs in the eurozone. While that is likely to happen to some extent, these headlines are likely to overstate the probable number of jobs at risk. Moving many, mostly unwilling, staff to Paris or Frankfurt is an extremely expensive operation, particularly as employment law in the continent is much more employee friendly. The precise nature of this risk is one of many that will only become apparent once the Brexit negotiations have concluded. As 2016 drew to its conclusion, we began to realise that Britain’s momentous Brexit decision was not the only big story of the year. The surprise election of Donald Trump to the US Presidency surpassed even Brexit in the column inches it generated. Neither result was expected, but Trump’s election was the final act of a year marked by anti-establishment protests. Both events will have significant impacts around the world in the coming years – only time will tell which one will ultimately prove the more momentous. Economically, 2016 turned out to be another lacklustre year. Global growth of an estimated 3.1% would be lower than that of the previous year (3.2%) and the lowest since the recession hit 2009, when world GDP contracted by 0.9%. The disappointing rate of growth last year was a result of poorer than expected growth in the developed economies in the early months of last year, but the slight acceleration towards the end of the year brings the prospect of stronger growth in the short term. Much of course will depend on Trump’s early actions, but stock markets have so far given his appointment the seal of approval with the widely quoted (but less representative) Dow Jones Index bursting through the 20,000 level in late January. Any pick up in the western economies though is likely to be matched by a continued dull outlook for emerging economies where rising interest rates and weakening currencies are likely to hold back growth. Overall we expect global economies to be a little more buoyant this year, with a forecast growth rate of 3.4% for this year and 3.6% for 2018 – still lacklustre compared to global growth before the financial crash. Risks, already high, have been elevated, primarily on account of Trump’s election and the uncertainty of what policies are likely to shape the US over the coming years. Activity in the eurozone picked up in the final quarter of 2016 as GDP posted growth of 0.5%, up from the 0.4% recorded in the third quarter. Further positive news came from the announcement that the eurozone’s overall unemployment rate has dropped below 10% (to 9.6%) – a rate not seen for seven years. However welcome these statistics are, there are few signs that the single currency bloc has addressed many, if any, of the structural problems that have beset it since its formation. And in a surprise announcement, it was reported that the eurozone’s annual rate of inflation had jumped to 1.8% in January, from December’s 1.1% and which was much higher than expected. Already there have been calls for the European Central Bank to slow or halt its bond-buying programme and/or to even raise interest rates. Despite the improvement in the eurozone’s growth in Q4, the annual rate of growth, at 1.7%, was disappointing and lower than the previous year’s growth of 2.0%. Political challenges and uncertainties, both from within the EU and globally may hinder the zone’s ability to build on the momentum seen at the end of 2016. Apart from the Brexit challenges, elections in several EU countries over the coming months may fuel the rise of more populist parties, each with their own agendas with regard to the eurozone. Finally, the election of President Trump is likely to have a significant effect on world trade, although at present, any impact cannot be quantified. We do not anticipate France and Germany, the biggest economies, to post anything other than modest growth rates over the next two years. In a worrying development, consumer spending in these two countries dropped sharply in the fourth quarter, and with inflation expected to remain at elevated levels (at least compared to the recent past), it is difficult to see the consumer driving growth in the foreseeable future. Given these potential headwinds for the eurozone, we forecast marginally lower growth this year and next, at 1.6% for both years, representing further years of lacklustre growth. The UK’s resilience since the referendum continues. A third successive quarter of 0.6% growth pushed up growth over 2016 to 2.0%, significantly higher than had been expected immediately after the vote occurred. Indeed, such is the momentum built up in recent months that growth forecasts have been raised markedly for this year. Our forecast growth rate is 1.6%, but there are some forecasters expecting growth at similar levels to last year. Despite this positive news, there are few signs that the economy is being rebalanced more towards exports and less to consumer spending. Once again it was the latter which drove activity in the fourth quarter. Given the rising levels of inflation that will emerge over the course of this year, both from increases in commodity prices and from sterling’s depreciation, the consumer is not going to be as well placed in the near future. Part of the upgrades to economic growth have been factored in from consumers dipping into their savings, prompting the Bank of England, amongst others, to signal that the national savings rate could fall to 4% this year, the lowest rate in over half a century. Higher inflation is the one factor that the Brexit vote initiated. Decembers’ increase to 1.6% was the highest since June 2014, but intriguingly, Britain’s annual inflation rate was virtually the same as that of the Eurozone at the end of last year. Despite Prime Minister May having disclosed that Britain would be pursuing a clean break from Europe, there is as yet little information as to how the negotiations with the EU will fare. This will become clearer over the coming months. Similar uncertainty exists regarding the future pattern of interest rates. On the one hand, the higher inflation forecast would normally signal a tightening of fiscal policy, however, the likelihood of a weakening economy as we move through 2017 and 2018 would suggest the opposite. The Bank of England’s Monetary Policy Committee will have a difficult decision and much will depend on survey data over the coming months. Data recently have pointed to a slight slowdown in activity in the early weeks of this year, which if it continues at that level suggests growth of around 0.5% in the first quarter. The fall in sterling is likely to benefit exporters, but the key over the coming quarters will be how consumers react in the light of potentially lower disposable income. According to MSCI, the commercial property market recovered its poise in the final quarter of last year. The IPD Quarterly Index delivered a total return of 2.2% in the last three months of the year, substantially better than the Brexit-influenced third quarter. 2016 was quite a year for commercial property. In George Osborne’s last budget he increased stamp duty land tax then barely three months later came the referendum. Both hit valuations of commercial property – the latter having a potentially greater future influence – and ensured that property delivered a total return of 3.6% over the year – the lowest calendar year return since the recession hit 2008. That was certainly a disappointing level of return, almost 10 percentage points lower than the previous year, but nonetheless creditable in the face of the economic and political headwinds faced. The yearly outcome was certainly better than the initial knee-jerk reaction after the vote would have indicated and it is encouraging that average capital values were rising again by the year end. The actual outcome was also more than 3 percentage points greater than the most recent consensus forecasts. It should also come as no surprise that the top 10 transactions by size last year all occurred in the first half. Consensus forecasts are equally weak over the coming 12 months. The latest forecasts, as at November, paint a cautionary picture, expecting yields to move out which, combined with the expectations of a slight fall in average rents, is expected to deliver negligible total returns this year of 1.3% with 5.1% total returns forecast for 2018. These forecasts, in our opinion, paint too gloomy a picture. There is justifiable concern over the state of the economy in the near term, particularly over businesses deferring investment plans but the corollary of the lacklustre economic outlook is lower interest rates for longer, notwithstanding the Brexit-influenced higher inflation. Consequently, we do not see property yields of well located properties let to strong covenants suffering a major outward yield movement. 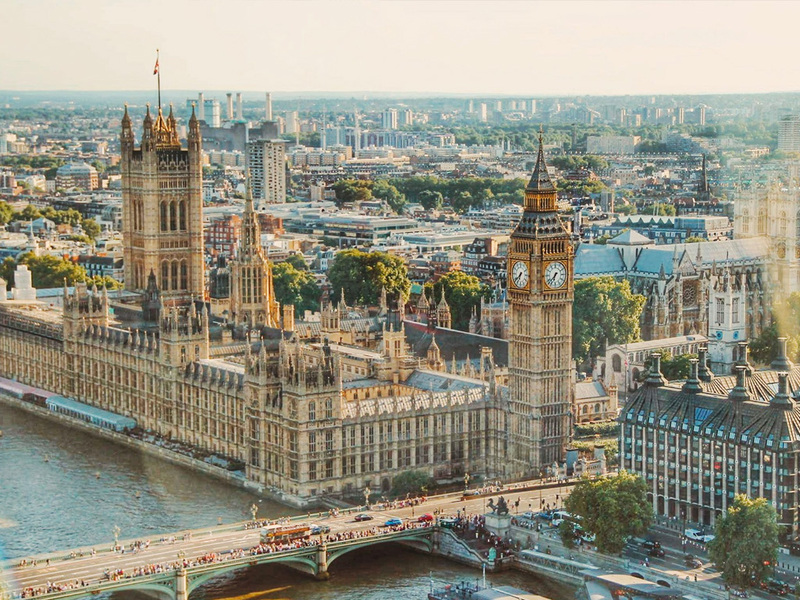 Property development is increasing – see the central London office section for more information – but we are not expecting to see a development boom similar to that of the early 1990s. Some secondary properties are going to continue to struggle in valuation terms with retailers still downsizing and prime pitch continuing to contract. Those well let properties, meanwhile, are likely to deliver superior returns, given their higher income yield. Such well let secondary properties withlong leases though are difficult to find. Sterling depreciation has made British assets cheap. With Europe still treading water and huge risks surrounding US policy, UK commercial property is likely still to be the market of choice for overseas investors, particularly with its steady and secure income. In terms of both transactions and take up, 2016 posted lower figures in both the City and West End office markets. However, given the extent of the political and economic shocks over the year, both turnover and take-up can be regarded with a great deal of relief. A strong December brought the total transactions in the City in 2016 to £8.07bn which although 25% below the total for 2015, was still 30% above the long term average. West End turnover was more resilient as last year’s transactions of £7.86bn were only 9% adrift of the total for the previous year and 10% above the long term average. It was also the fourth largest annual take up in history. There was though a clear difference in the picture of buyers and sellers in both markets. Asian purchasers accounted for by far the largest group in the City, making up 44% of the deals. UK investors, conversely were the largest sellers of City properties, yet were the largest group of buyers of West End properties over the year. A very similar pattern occurred in the letting market. Take up in the City and West End markets totalled 5m sq ft and 3.68m sq ft respectively, down 25% and 7% from 2015’s totals. In both markets, take up exceeded the long term averages. London office supply has been on the rise for some months, although we are not yet witnessing the extent of speculative development that has blighted past central London office markets. Supply of available space has risen to 7.2m sq ft in the City and to 4.17m sq ft in the West End, representing vacancy rates of 5.8% and 3.8% respectively. Supply coming on stream totals almost 5m sq ft in the City this year and almost 2.5m sq ft in the West End with just short of half of this space speculative. Prime yields have been static over the second half of this year at 4.25% in the City and 3.25% in the West End. With the increase in developments coming on stream in the coming year, the prospect of further rental growth may be lower than for some time, with the likelihood of greater rent free periods impinging on the City market in particular. Grade A rents have been relatively stable over 2016, and at the end of the year were around £63 psf in the City and around £74 psf in the West End. After six years of particularly strong rental growth and capital value growth, the central London office market was always poised to slow down at some point. There were signs that it had begun slowing even before the referendum result killed any hopes of a continuation of the bull run. Forecasts point to a sharp reduction of about 7% in average capital values this year in the central London office market, driven by weakening rents and rising yields. As highlighted elsewhere, we do not believe that the outward yield shift will be as acute as many believe, although we acknowledge that when sentiment changes, it will occur very quickly, possibly rendering all forecasts obsolete in a short space of time. 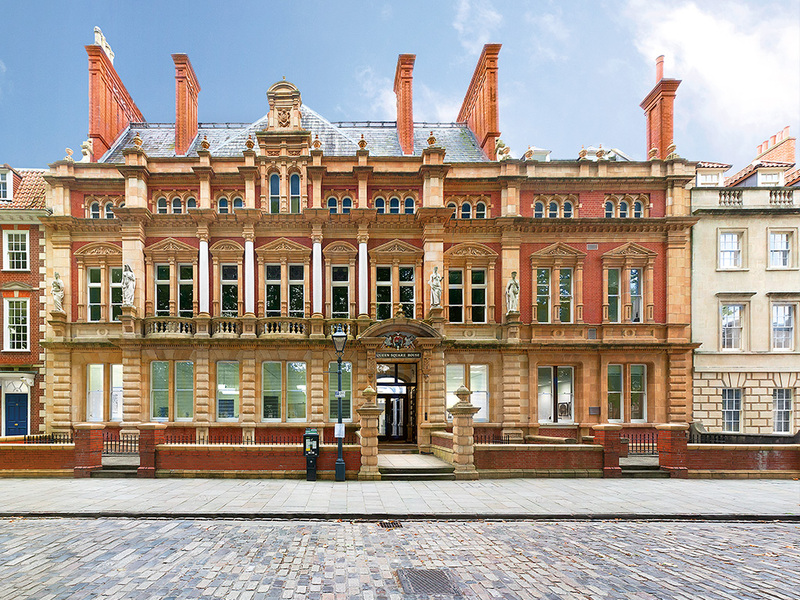 Queen Square, Bristol is the latest acquisition for Cordatus Property Trust, a joint venture between Cordatus Real Estate and CBRE Global Investment Partners. Cordatus Property Trust (“CPT”) has completed its latest acquisition as it continues to build a portfolio of diversified assets across the UK: a shopping centre at Lisnagelvin, Londonderry purchased from British Land. Cordatus Property Trust has bought a retail block in Colchester, Essex from Glanmore Property Company. The Cordatus Property Trust is a “programmatic venture” between CBRE Global Investment Partners (CBRE GIP) and Cordatus Real Estate (Cordatus). Three months after the historic vote by the British electorate to leave the EU, we are no nearer comprehending the full implications of the exit. So far, market reaction has been orderly; sterling has been extremely weak but this has powered a rise in the stock market. Bow Street Mall has sold the Park View shopping centre in Whitley Bay, Tyne and Wear to Cordatus Property Trust.